I’ve admitted more than a dozen times that I’m a serial outfit repeater and these two outfits are no exception. 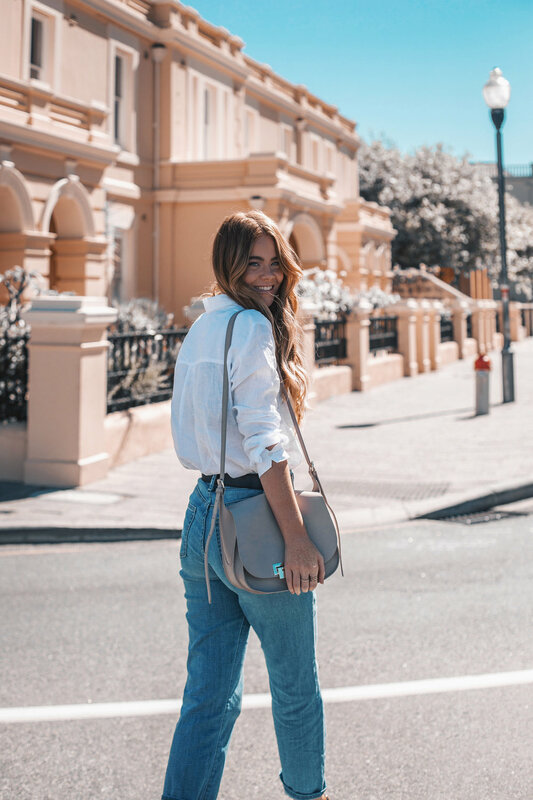 When it comes to perfect basics, I’m not afraid to wear them over and over again, mixing them up and rocking them the exact same way I did last week. What can I say? Once you’ve found a good thing, stick to it. Since it’s grand opening earlier this year in my hometown, UNIQLO has become my go-to for basic pieces that fit seamlessly with my personal style and everyday life. While their denim and basic tee’s have been long time favourites of mine, it’s the UNIQLO Linen range that had me at hello this season. Aside from being breathable, cool and comfortable, it’s also effortless. So, today I’m sharing with you my two favourite outfits I wore last week, linen included. 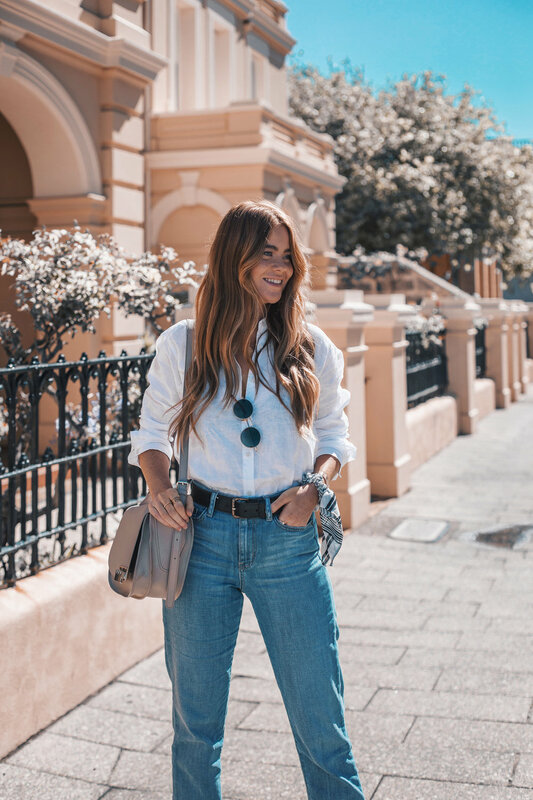 A timeless combination, the white shirt and blue jeans look is one of my all-time favourites. The first thing I ever bought from UNIQLO was an oversized shirt many years ago in Shinjuku, Tokyo, and to this day it remains a go-to. While my style has changed a little since then, my love of button-up basics certainly hasn’t, which is why you’ll see me in this linen shirt more often than not. And don’t even get me started on how much I wear these boyfriend jeans. Or any of their denim range, actually. One look at my blog and Instagram is all the proof we need! UNIQLO Premium Linen Long Sleeve Shirt and Boyfriend Jeans. Look, I’m not going to lie, I’ve had my eye on these brown trousers since the UNIQLO Perth store launch and I finally treated myself to them during my last shopping session. My goodness, they’re even more fabulous than I could’ve ever imagined. And I’ve already worn them a couple of times since, when I travelled to Sydney last week (once with a white tee and again with a black tee). Yeah, that’s how much I absolutely adore them. I just love how they can transform any look from casual to smart and sophisticated without sacrificing comfort. Now that’s what I’m talking about! UNIQLO white Linen Short Sleeve Blouse and brown Wide Leg Pants. 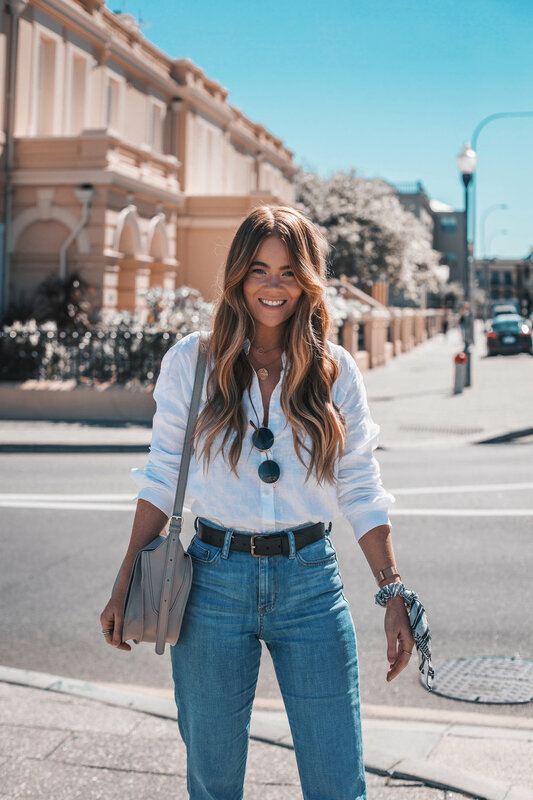 what are your favourite basic pieces in your wardrobe?